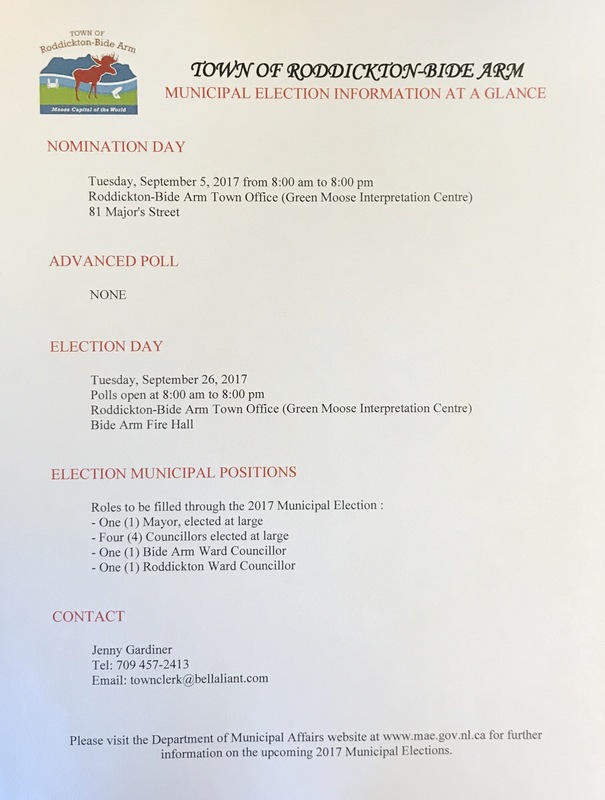 Residents are reminded Tuesday, September 5, 2017 from 8:00 am to 8:00 pm is nomination day. 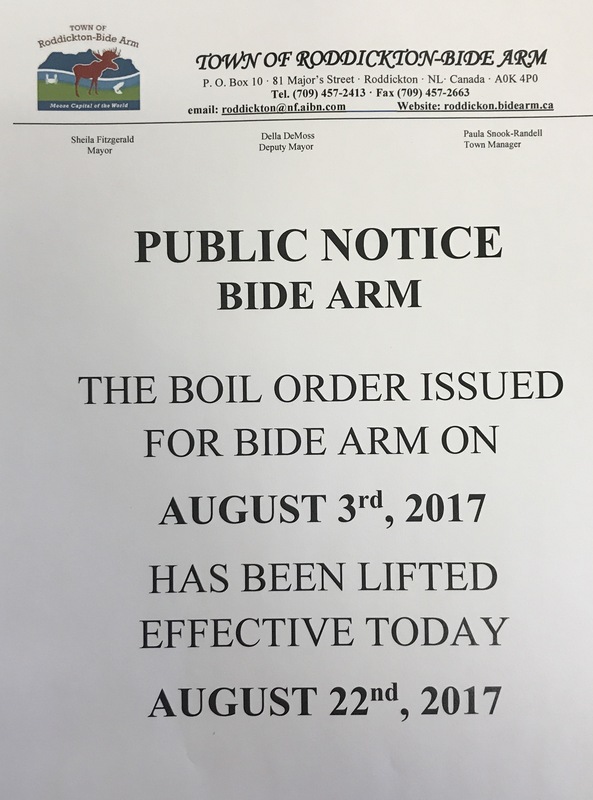 Payments and inquires on other Town matters will only be taken during regular business hours. The road is closed on Major’s Street just pass lumberjack’s landing due to repairs. It will be late tomorrow evening, Aug 31 before it will be reopen. For access from Lumberjack’s to Mr. Melvin Decker’s property you can still take Major’s Street. 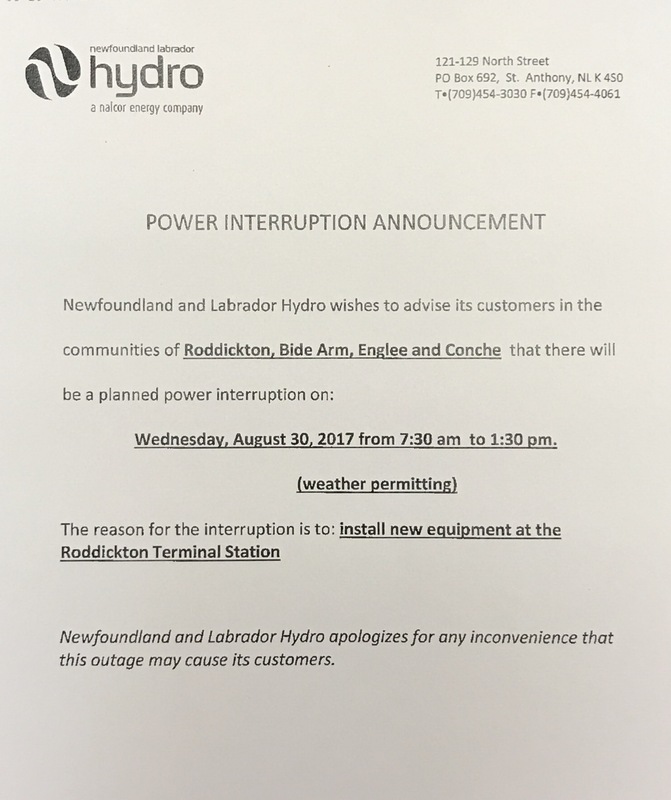 From Mr. Melvin Decker’s property going in the direction to Foodland you will need to take Harbour Drive/Collegiate Drive to reach any places in between. Sorry the inconvenience this may cause. 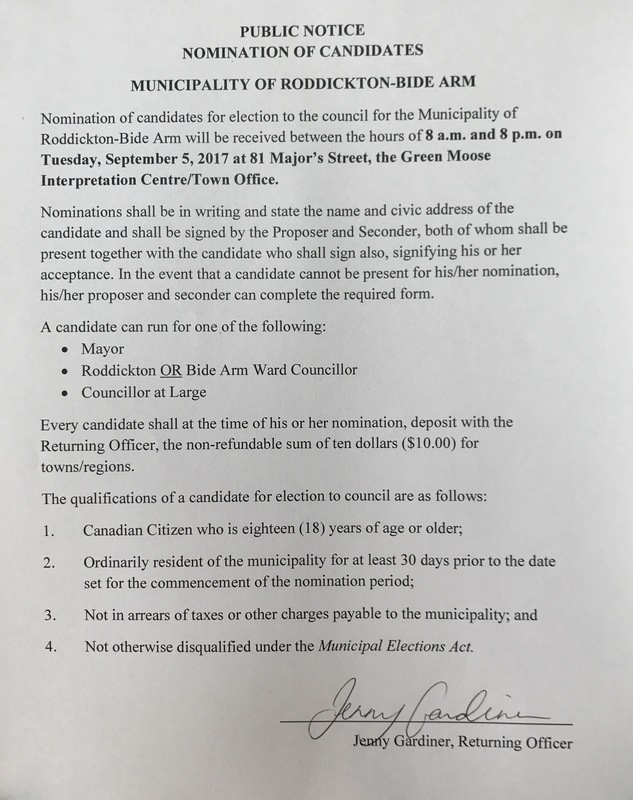 The Town of Roddickton-Bide Arm is now accepting applications for the position of Part Time Town Clerk. The individual shall be energetic and vibrant applicant with a combination of educational training and work experience to fulfill the duties of Part Time Town Clerk. The successful applicant will be responsible for, but not limited to, filling the role of acting as Town Clerk in their absence, helping with Town activities and administrating programs. All applicants must apply in writing with a resume and three work related references to the undersigned.